When I sit and contemplate modern food trends, the one food that always came to mind is.. Coconuts. With the explosion in demand for coconut oil, sugar, milk and water, I thought to myself.. where on earth are we getting all these coconuts? 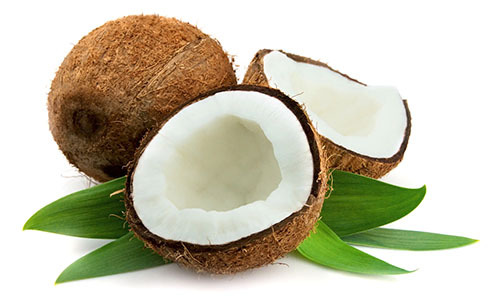 To produce 1 liter of coconut oil – you require between 15-25 medium size coconuts. Considering the info above, you are looking at almost the entire fruit production of a tree for an entire year..The current trees can no longer keep up at this rate. I know for a fact that they are trying to introduce hybrid varieties of seeds to help improve yields too.. that’s right folks GMO coconuts are here. With the world demanding more and more, the industry is scrambling to keep up. Supply has gone down and continues to do so. A lot of these trees are past their primes having been planted over 50 years ago. They are about 20+ years past peak production time as per Hiroyuki Konoma, the regional representative for Asia and the Pacific at the food and agriculture organization of the UN. in 2013, it was approximated that production growth was 8% behind demand growth, with this number likely higher now. There is an intensive effort underway in Asia and the Pacific to rehabilitate the industry with proper replanting efforts. However, there will likely be a gap in the market for a few years as production stabilizes. A coordinator of a Trinidadian Coconut research program stated “Its fair to say that at this pace, the Caribbean is running out of coconuts”. 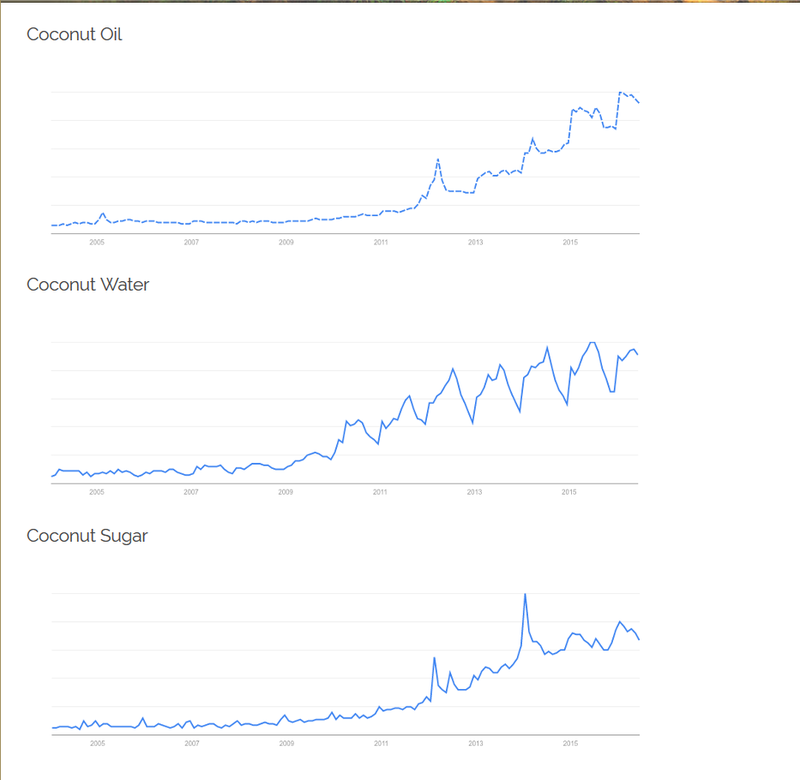 The image below shows Total world supply of coconut oil. Take note of the steady decline.. As you can imagine, expect the prices to keep spiraling upwards. In 2016 he price has gone up 50% since 2013! 1) Plastic tubs of oil contribute to our global epidemic of single use plastics. 2) Oil and plastic share the same polarity and thus over time may exchange molecules which MAY contribute to a variety of endocrine/hormonal disorders. Plastic is not the best way to store oil. The unrealistic demand has also pushed for more mono culture farming of the trees which greatly reduces production of the tree as it ages. The motivation then is to plant more and more trees, replacing native plants and messing with the natural biodiversity of the native plants, which in turn has its own chain of effects including the displacement of many types of animals, plants and in some cases people. The toll on the soil with such poor farming techniques in turn need to the dependence of chemical fertilizers, which are now being subsidized to farmers to boost productivity. Chemical fertilizers pose a direct threat to soil, water and air health… The list goes on and on folks.. So the next time you use Coconut products, keep the above information in mind. What you can do to help? 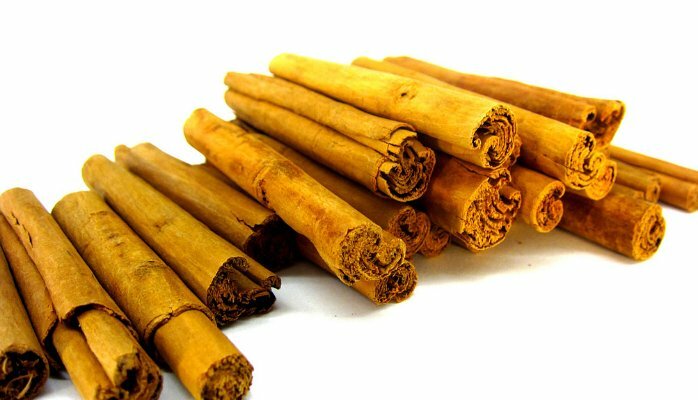 1) Be mindful – reduce your consumption of coconut products. In this age of abundance we are literally splashing coconut oil so liberally in our cooking. Do we really need to use that much oil? Also preference glass where possible. 4) Get educated – by reading posts such as this and doing your own research. Thank you for starting here!